Lt. Gen. Jerry Harris, deputy chief of staff for strategic plans and requirements at the U.S. Air Force, has told lawmakers that the service branch wants to have 165 aircraft in its future bomber fleet, DoD Buzz reported Monday. Members of the House Armed Services Committee’s Seapower and Projection Forces Subcommittee asked Harris during a May 25 hearing about a potential increase in the planned quantity of the next-generation B-21 Raider stealth bomber. 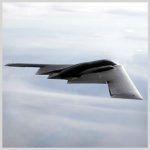 The Air Force awarded Northrop Grumman a contract in 2015 to build up to 100 bomber aircraft worth approximately $55 billion in total as part of the Long Range Strike Bomber program. Air Force spokeswoman Ann Stefanek told Military.com that the 165 figure reflects the total number of bombers and not just B-21s. Stefanek added that the military branch currently has 159 bombers including 62 B-1B Lancers, 20 B-2 Spirits and 77 B-52 Stratofortresses, the report stated. B-21 bombers are slated to join the Air Force’s fleet in the mid-2020s and eventually replace B-1 Lancer planes.